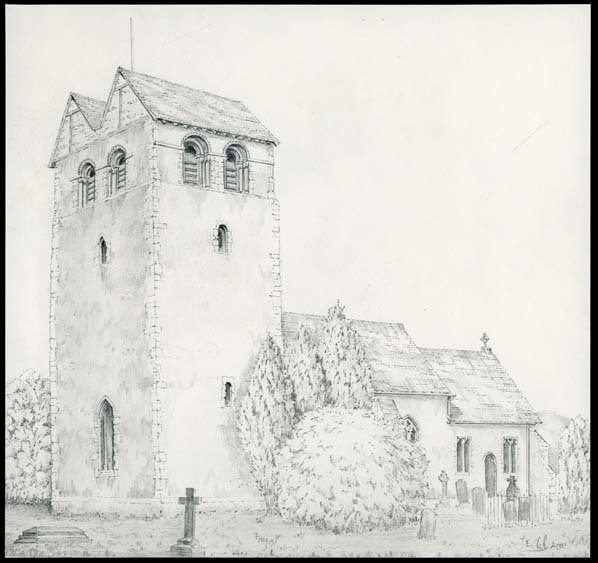 Original drawing by John Clark of the church of St. Bartholomew in Fingest. The drawing shows the side elevation with a large Romanesque tower to the left. There are some graves and bushes in the foreground and a cross features in front of the tower. Pencil on cream drawing paper.